Airbus Helicopters at Heli-Expo 2019 unveiled a new version of its H145 light twin-engine helicopter. This upgrade brings a five-bladed rotor to the multi-mission H145, increasing the useful load of the aircraft by 150 kg, with a new maximum takeoff weight of 3,800 kg. EASA certification of the new H145 is planned for early 2020, with first deliveries to follow later that year. This upgrade will also be offered to current H145 customers as a retrofit option. Three operators were initially named as early adopters of the 5-bladed H145, including: Swiss Air-Rescue Rega (first worldwide retrofit, to be applied on seven aircraft); Dare County MedFlight (first North American retrofit); and Norwegian Air Ambulance (first EMS client, to be applied in R&D missions). Airbus states the design simplicity of the H145’s new bearingless main rotor will ease maintenance, increase reliability and improve ride comfort. The reduced rotor diameter of the H145 will allow it to operate in more confined areas. 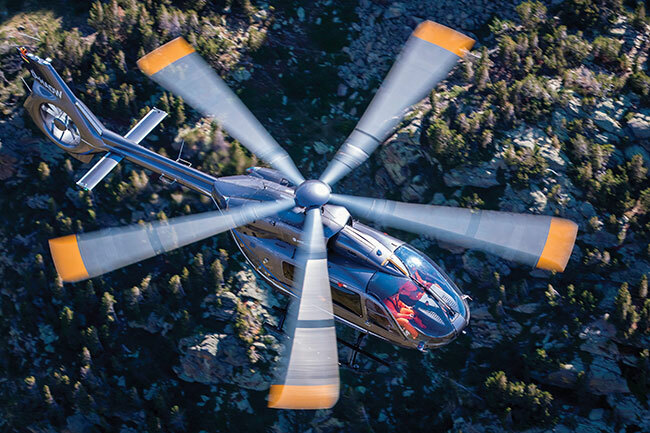 During Heli-Expo, Chris Emerson, president of Airbus Helicopters and head of Airbus Helicopters North American, explains the company in 2018 had close to 800 operators in North America, amounting to just under 3,000 aircraft. “What was interesting last year is that we had over 100,000 shipments with partners,” he explains. Last year in North America, Airbus also had 75 gross orders, representing a 72 per cent market share in the region, and 40 per cent new customers. 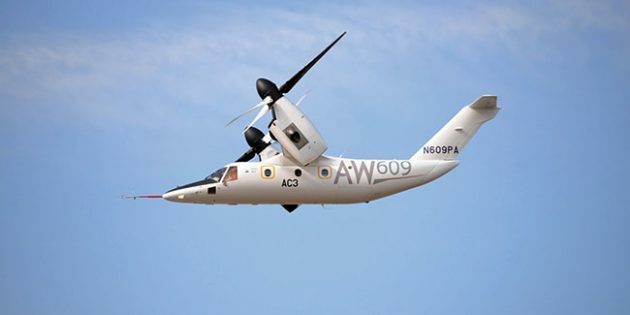 Leonardo has begun assembly of its AW609 tiltrotor. On day two of Heli-Expo, Kurt Robinson, president of Robinson Helicopter, explains the company had another solid year of deliveries in 2018, with an increase to 316 helicopters from 305 in 2017 and from 234 helicopters in 2016. The 2018 deliveries included 33 R22s, 74 R66s, and a total of 209 R44s, breaking down into 128 Raven II, 63 Raven I, and 18 Cadet aircraft. Outside of the U.S., which saw 87 total deliveries, Australia was Robinson’s largest export market in 2018, followed by China, Canada and the UK. “We have delivered over 900 R66s today,” says Robinson, also noting the current production levels of R22s at more than 4,800 aircraft and R44s at more than 6,900. Last year alone, the R66 flew approximately 250,000 flight hours based on Rolls Royce utilization rates. “Over half of the [R66s] being ordered now include the Aux tank, which has an additional two-hour range, [giving] you five hours of total endurance in the helicopter.” The company is currently producing two R66s per week, in addition to four R44s and one R22. Leonardo, at HAI Heli-Expo show in Atlanta, announced the start of production on the world’s first AW609 tiltrotor Level D Full Flight Simulator (FFS), as well as its intention to introduce the first U.S.-based AW169 Level D FFS. Expected to enter service in 2020, both simulators will be installed into the new training academy being developed at the company’s facility in Philadelphia. Leonardo describes the introduction of these two simulators in the U.S. as a major milestone for the delivery of training services, particularly as the assembly stage of producing the AW609 was set to begin, also in Philadelphia. The AW609 simulator is developed in collaboration with CAE and based on the CAE 3000 Series FFS featuring a roll-on/roll-off cockpit design. This enables cockpits representing various Leonardo helicopter types to be used in the full-motion base simulator. Both simulators will be operated by Rotorsim, a joint venture of CAE and Leonardo. The Italian company also emphasized the pending FAA Type Certification of the AW109 Trekker light, twin helicopter, which it received three weeks after Heli-Expo. Sikorsky announced plans for its S-92 helicopter line, featuring MATRIX computing, which would re-designate fielded helicopters as the S-92A+ after modification, and newly produced aircraft as the S-92B. The two variants will share a nearly identical configuration, explains Sikorsky, with S-92B helicopters also featuring enlarged cabin windows and plans for a common cabin door suitable for offshore and SAR configurations.